Abu Dhabi, 19 June, 2012- On the occasion of World Blood Donation Day, Insurance House (IH) has organized a blood donation day for its staff and clients under the theme (My Blood; Your Life). 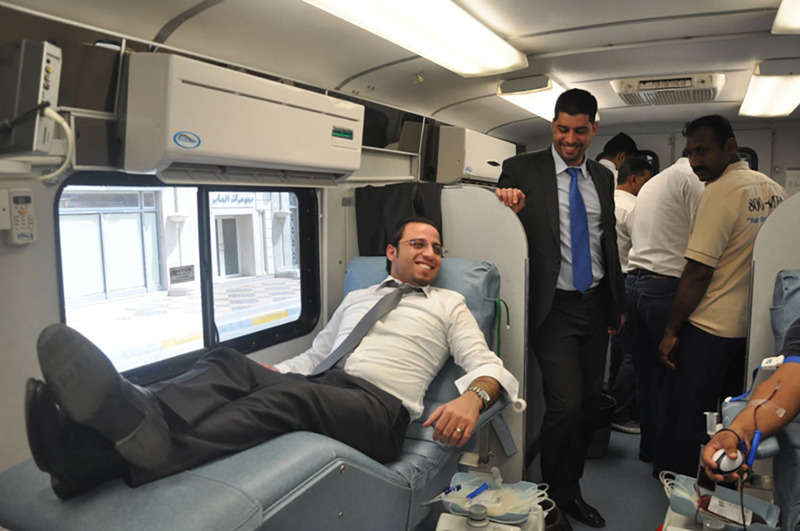 Mohammed Othman, General Manager of Insurance House said: “We decided to be part of this global and humanitarian day, because blood donation is a unique compassionate activity, where each blood unit can save many lives. Blood donation knows neither discrimination nor borders, and as a socially responsible company we have ensured to share this activity with our clients as well, in order to address this noble message to the society”. “We would like to thank all the people whom have shared this day with us, specially our clients and employees whom have underlined the meaning of a generous society”, concluded Othman. This activity comes with partnership with Sheikh Khalifa Medical City that is managed by Cleveland Clinic who provided the blood bank unit.